Want to be hired by Al? Are you a Journeyman Automotive Technician with Red Seal Certification? Can you use ALLDATA software to perform out-of-province and all other types of vehicle inspections? Do you feel comfortable working either independently or on a team? 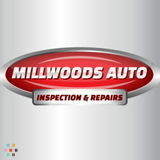 If your answer to all these questions is “yes” then Millwoods Auto Inspection and Repairs have a great opportunity for you. You will join our team of professionals and do mainly auto repairs and inspections. We pay competitive wages ($--... a year). If you wish to join our family-owned business, please apply by email at ...@gmail.com, fax at 780-462-..., telephone at 780-462-..., or in person at 3456 – 91st Edmonton, Alberta.